While many parents look forward to the end of summer and the start of school with some relief, their children may be experiencing feelings of anxiety and apprehension. In some children, nervousness about the coming year can even manifest as physical symptoms, such as stomachaches, headaches and restlessness. It’s normal for children to experience anxiety; most of the time, the feelings will lessen within the first month of school as they become accustomed to the initial newness: new grade, new teachers, new friends and new expectations. 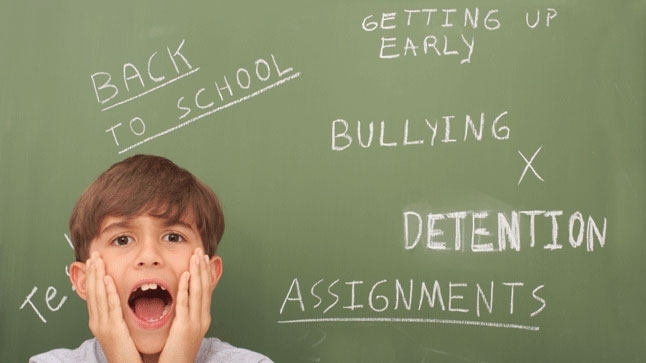 However, as many as 20 percent of children between the ages of 6 and 17 experience anxiety that is serious enough to interfere with their functioning at home, at school or with friends. If you feel your child’s anxiety is severe or not subsiding, talk to your pediatrician. He or she may recommend a pediatric mental health professional who can offer you and your child support and guidance. Start talking about school before the new year begins, and keep the conversation going during the first few weeks of school. Encourage your child to share feelings, fears and thoughts with you. Help your child get enough sleep and physical activity. Encourage healthy, balanced meals at regular times. See if you can arrange for you and your child to take a tour of the school and meet the teacher. Set up routines that reduce stress – for example, a snack when your child comes home, followed by homework and dinner, then reading and bedtime. It’s a good idea to get your children used to a normal “school routine” – with a regular dinner time and an early bedtime – before the school year starts. Ignore the anxiety if it seems to worsen or if it starts to interfere with your child’s daily functioning. Instead, seek help from a mental health professional. Dismiss you child’s feelings by just telling them not to worry. It’s healthier to acknowledge and validate your child’s feelings before working together to address them. Allow stimulating activities right before bed (like playing on a smartphone or computer, or watching TV). Let your child drink coffee or other caffeinated drinks, which can worsen anxiety. If your child has severe anxiety, our compassionate professionals can help. Contact the UCLA Childhood OCD, Anxiety & Tic Disorders Program by calling (310) 825-0122 for more information or to make an appointment.